I am looking for mathematical documentaries, both technical and non-technical. They should be "interesting" in that they present either actual mathematics, mathematicians or history of mathematics. I am in charge of nourishing our departmental math library (PUCV) and I would like to add this kind of material in order to attract undergraduates toward mathematics. For this reason, I am not looking for videos of conferences or seminar talks, but rather for introductory or "wide public" material. "Dimensions", by Leys, Ghys & Alvarez, http://www.dimensions-math.org/ which explains actual maths and is excellent. "Julia Robinson and Hilbert's tenth problem", https://www.vismath.eu/en/films/julia-robinson, about the life of some great mathematicians. BBC documentary on "Fermat's last theorem" (by the way, any information about how to purchase it would be welcome, it does not seem to be possible to do it from the BBC site http://www.bbc.co.uk/iplayer/episode/b0074rxx/horizon-19951996-fermats-last-theorem. Maybe http://vimeo.com/18216532 ?). Are there more examples? Thanks, Ricardo. Leys, Ghys & Alvarez have also made a video series in a similar style about dynamical systems called "Chaos". The nine chapters are all available under a Creative Commons license. I really like this short documentary on Fermats Last Theorem and Andrew Wiles struggle and setbacks proving it. "The Color of Math" is a rather poetic documentary by Katia Eremenko that will have its premiere at the Moscow Film Festival this upcoming Saturday, June 23, 2012. It features Cedric Villani, Anatoly Fomenko, Maxim Kontsevic, Jean-Michel Bismut, Aaditya V. Rangan (and myself). Beautiful young minds British documentary about International Mathematical Olympiad 2006 with focus on the UK team. Hard problems American documentary about the same event with focus on the US team. Documentaries contain analysis of that year's problems (although the focus is on the competition in general, team selection and contestants - which makes it more interesting to ex-contestants than to professional mathematicians or math enthusiasts). The soundtrack is still in progress, so it's not yet fully available but Ester Dalvit made a very interesting movie about braids and knots. At the end it will be distributed under a Creative commons license. Alexander and Markov theorems (i.e. the relation with knots). La lettre scellée du soldat Doblin about Wolfgang Döblin / Vincent Doblin. Here the synopsis from IMDB: "When France surrendered in 1940 and German soldiers showed up in the Vosgian village of Housseras, an unknown French foot soldier burned his papers and killed himself in a farmer's barn. Four years later he was identified as "soldat Doblin, Vincent". In fact, he was none other than the mathematician Wolfgang Doeblin, son of the famous German novelist Alfred Döblin ("Berlin Alexanderplatz") who was forced to flee Nazi Germany with his family in 1933. A French citizen since October 1936, Wolfgang Doeblin carried on his research into probability theory during his military service and even during the hardships of the "Phoney War" in the winter of 1939-40. In February 1940, four months before his death at the age of 25, he sent his most important manuscripts ("About the Kolmogoroff Equation") as a "sealed envelope" to the Academy of Science in Paris, where they were kept in safe custody for 60 years. Wolfgang Doeblin's short and dramatic life story, almost forgotten, was finally brought into the limelight when the "sealed envelope" was opened in May 2000. Far ahead of their time, his groundbreaking contributions to the theory of random processes place Wolfgang Doeblin among the major innovators of probability, the "mathematics of randomness". Mathematical models for evaluation of chances and risks went on to gain major importance in numerous domains of modern science, in everyday life and especially in contemporary financial mathematics." Marcus du Sautoy's The Story of Maths is a total of four hours attempting to give an overview of the history of mathematics from ancient to modern time, spending 5-10 minutes each on the life and work of some of the most famous mathematicians. While one could quibble with some of the selections, the project is overall a fantastic production. Alan Turing: Codebreaker and AI Pioneer (available here). The code-breaking work at Bletchley Park, which helped save Britain from Nazi Germany, qualifies as one of the greatest stories of World War II, and the misunderstood genius, Alan Turing, stands at the center of this tale. Perhaps no one understands Turing's role during this period -- and his larger impact on mathematics and computing -- like B. Jack Copeland. In this lecture, Copeland contends that Turing should be celebrated as the father of artificial intelligence. "Taking the long view: The life of Shiing-Shen Chern"
This very nice documentary was produced recently on the occasion of the Chern Centennial Conference. Though this one is more about mathematicians, than mathematics. 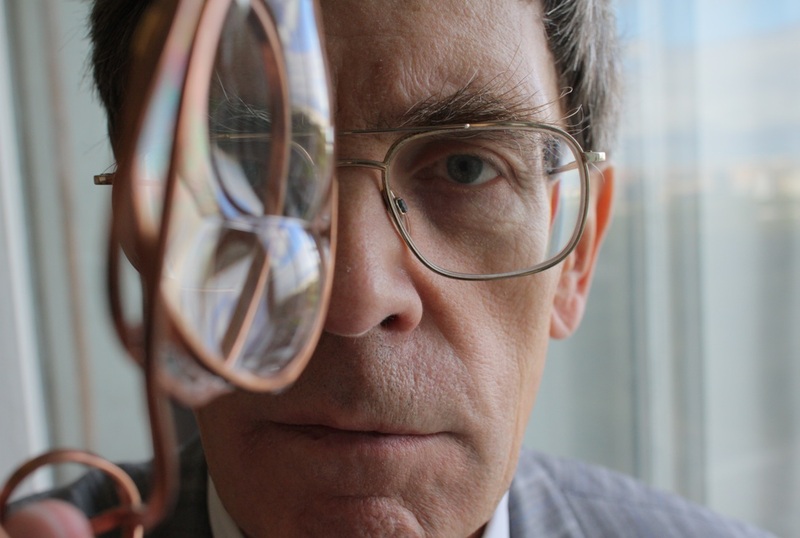 Science Lives, made by the Simons Foundation, has nine very long interviews that essentially amount to miniature documentaries about the lives of a number of 20th/21st century mathematicians and physicists. "Achever l'inachevable" or "Achieving the Unachievable" features many mathematicians discussing M.C. Escher's Print Gallery, most of the material coming from the Notices article here. The secret life of chaos. A BBC documentary. I vote for 100年の難問はなぜ解けたのか ～天才数学者　失踪の謎 ("Why the difficult 100-year-old conjecture was proven- The mysterious disappearance of the genius mathematician"), about Grigory Perelman, Geometrization, and the proof of the Poincaré Conjecture, as the best mathematical documentary ever. 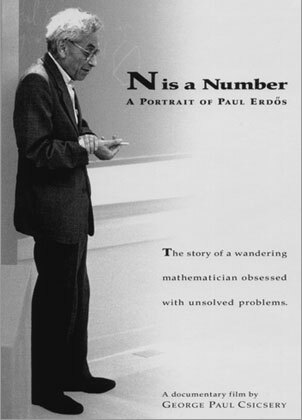 It's non-technical, but it's really very well-made, and gives a good sense of what research mathematics is like, and why some people spend their lives searching for proofs of mathematical conjectures. The mathematics in it is mostly fairly solid. It inspired fashion design house Issey Miyake to design a fashion collection with Bill Thurston inspired by geometrization. The only documentary about Grigori Perelman has recently got English subtitles. (Perelman is the guy who proved the Poincare conjecture and then refused a million dollar prize.) It is for laymen, and very dramatic. There is a new movie that just came out called Comment j'ai détesté les Maths (How I hated math). Cédric Villani, Jim Simons, and others are featured in the film. Try Satyan Devadoss's "The shape of nature." Marcus du Sautoy has a number of BBC math specials and short series dealing with concepts of zero, infinity, measurement. Some are done under the Horizon umbrella. This is not about the Enigma Machine, which is probably the more well known example in code breaking. Instead, this is about the Lorenz cipher. This is a relatively new movie (october 2011) that talked about how a maths student and an engineer combined to hack into Hitler's personal super-code machine, named the secret writer, and helped win WWII. Also of historical significance, the movie described the decryption machine as the first programmable computer. The Geometry Center (formerly of UMN, now apparently defunct) many years ago produced "Not Knot" (about hyperbolic space) and "Outside In" (about sphere eversion). There is apparently a more recent third one "The Shape of Space" I'm not familiar with. Apparently you can still order them here, although copies are now easily found on YouTube. Interviews and memories by leading Moscow mathematicians I.R. Shafarevich, V.I. Arnold, S.P. Novikov, B.A. Sevostyanov, A.N. Shiryaev, V.V. Golubev (major-general and dean of mexmat MSU at (1933-1935 и 1944-1952)). Some of them are quite free-spoken. Sorry it is in Russian. A new documentary about Ramanujan just screened at the AMS meeting earlier this evening. It's called, The Genius of Srinivasa Ramanujan. It was claimed that it's already up on YouTube. EDIT: All I was able to find on the web was a very short preview. A very nice interview of László Lovász can be found here: https://www.simonsfoundation.org/science_lives_video/laszlo-lovasz/ A very wide variety of topics are covered (see the 'playlist' at the right hand side)! Henri Cartan, une vie de mathématicien. Can all Local Martingales Be Represented using Only Brownian Motion and Finite Variation Processes?